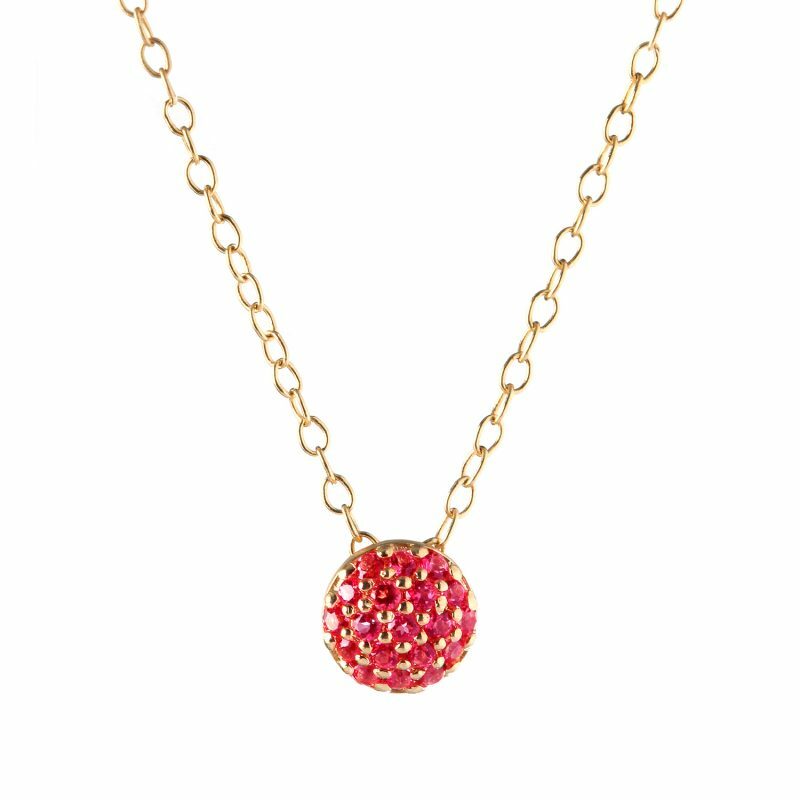 The Ruby Dot Necklace is a necklace set in 18kt recycled yellow gold with rubies. Part of the Twilight Collection by Sandy Leong. 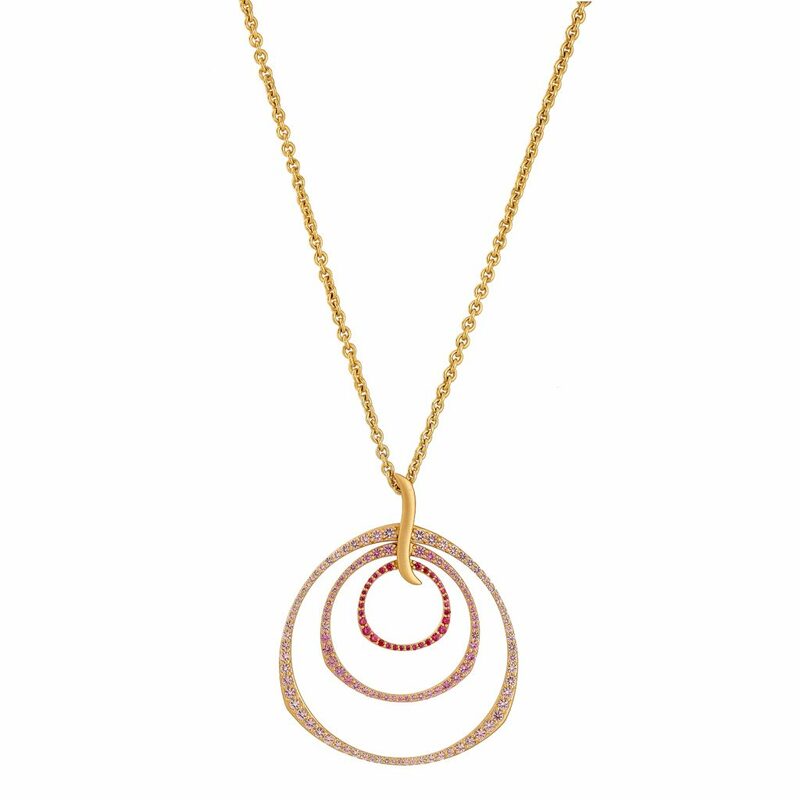 Twilight is a vibrant fine jewellery collection that explores variations in color, layers and light as they appear in the sky at dusk and dawn. 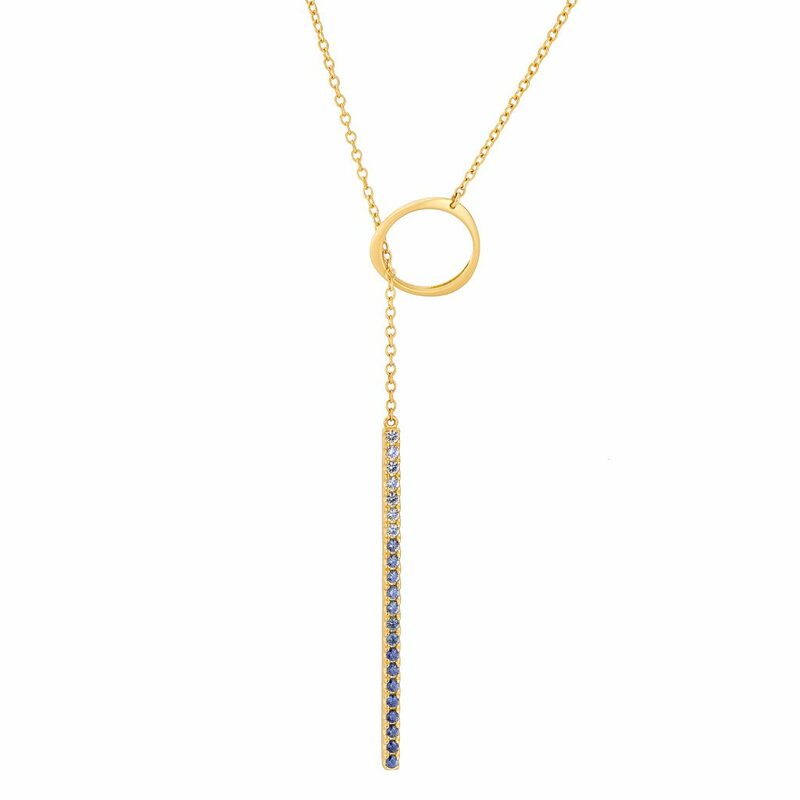 Twilight introduces effervescent color centered around genuine sapphires and rubies cut by Swarovski.